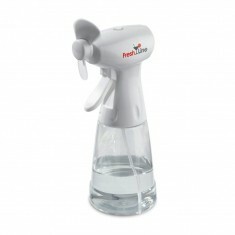 Sometimes nothing beats a breeze on those hot summer days to help cool you down. 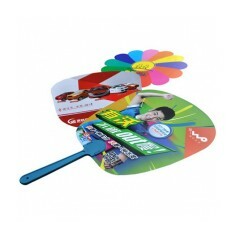 So we put together a collection of promotional Fans that can be custom printed with your design. 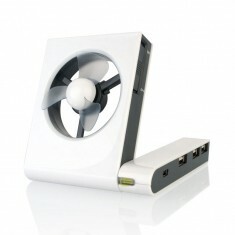 When you’re in need of creating your own breeze to cool yourself down, customised fans are perfect for the job. 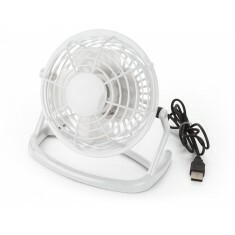 We store everything from manual, handheld fans to automated ones like our branded Stay Cool Fan and ones you can plug into your computer like the personalised Desk Fan. These practical items are great whether you’re out for a wander in the park or sat at your desk dreaming of the beer garden. 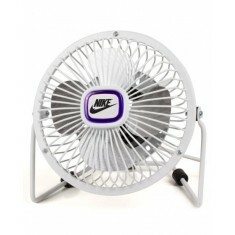 Branded fans are sure to keep your branding in front of your customers during those toasty summer months and even those elusive Autumn heatwaves plus, due to how useful they are, they will be safely stored away when Winter comes. 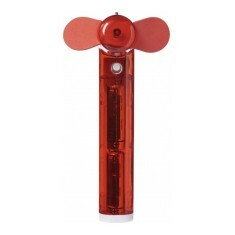 Whether it’s an automatic fan or a hand held one, we have plenty of options either way here at MoJo. 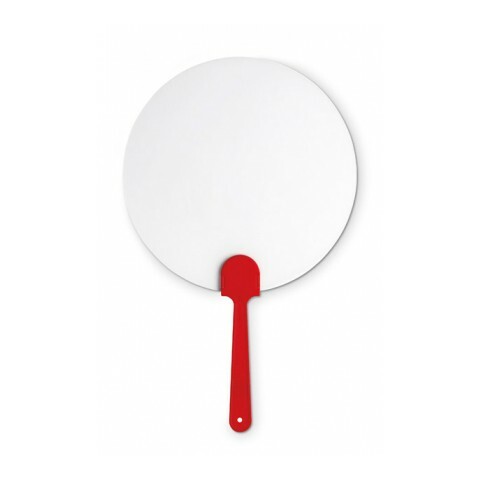 The personalised Spanish Folding Fan is printed to one side in full colour as standard, which is great for catching the eyes of your audience as you fan yourself during those baking summer months. 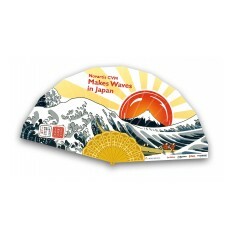 This fan neatly folds away when not in use and the fan is made from a soft fabric for a high quality fan that will be kept for use when the sun pops out from behind the clouds. 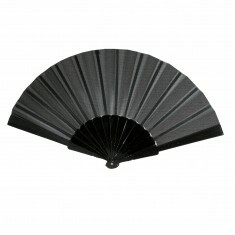 Designed to your specifications, these fans are ideal for any summer events or festivals. Want to check out the quality for yourself? Give our sales team a call and we can arrange samples for you to check them yourself. 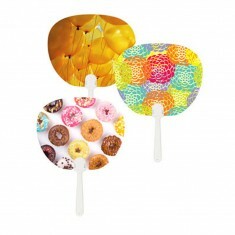 Cool yourself down on a hot summer's day with our fun custom printed manual fa..
Add some flair to your exhibition with our Custom Hand Held Fans. Made from..
Laminated cardboard paddle. Printed full colour to both sides. 100% coverage. 8 colour choices. Printed to the handle. Fabric fan material. Quick lead time. PVC material. Soft touch. 6 colour choices. No batteries required. Printed to 1 side of fan. Pocket sized. Batteries included. 4 colour choices. Printed to the front of the handle. 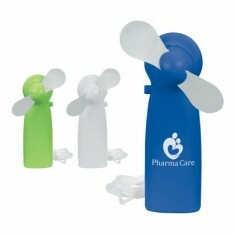 Lightweight and compact handheld fan supplied on a lanyard, custom printed wit..
Can spray water. Blue or green versions. Runs off 2 x AA batteries. 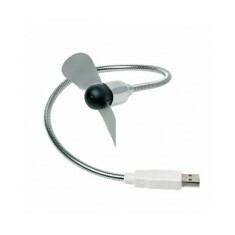 Be sure to have our promotional Spanish Foldable Fan handy this Summer to keep..
Plugs into USB port. Branded onto the metal motor cover. Flexible silver cord. 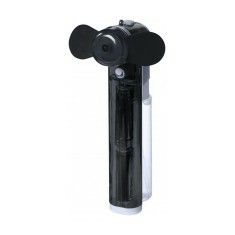 Built in water atomiser. 3 colour choices. Individually boxed. Large print area. USB powered. 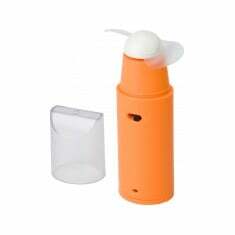 ABS plastic casing. Individually boxed. Quick delivery. 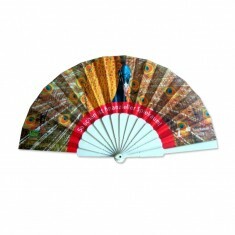 Printed to centre of fan. 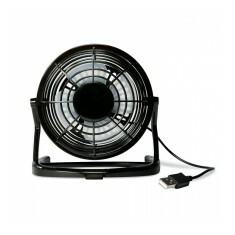 Be prepared for the best of the British Summer with our customised Desk Fan. 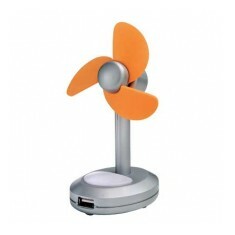 T..
Silver/Orange USB Mini fan with one USB port. Supplied with 2 x AA Batteries. Water compartment perfect for cooling down in the summer. 1 - 4 spot colour print avaiable. 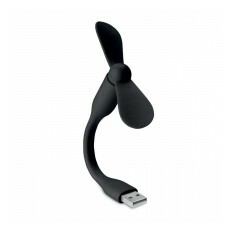 Foldable usb fan with 3 USB (v.2) ports. Powered through the usb connection. C.. Available in Black or White. Full colour print as standard. Quick delivery.